She's Fantastic: The Herculoids TARA! 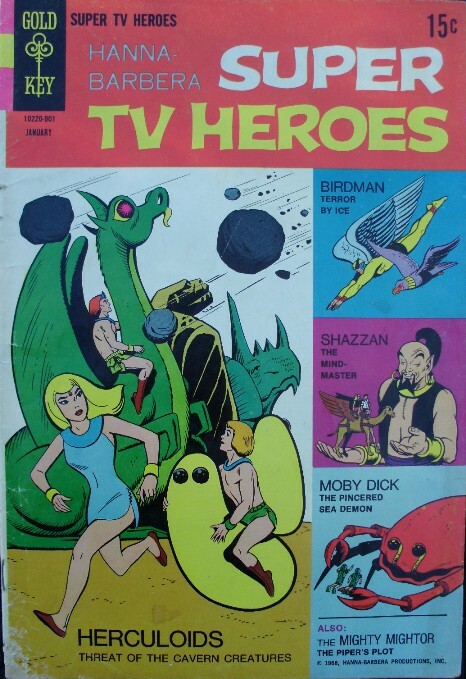 The Herculoids are quintessential 1960's Hanna-Barbera. 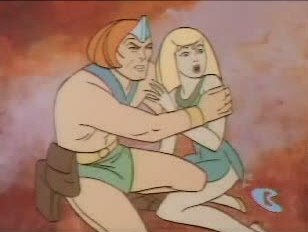 I wasn't exactly born yet when the original episodes aired, but I was around for their reincarnation in 1981. This early era of Hanna-Barbera adventure titles spawned such classics as Birdman, the Galaxy Trio, Space Ghost, Mighty Mightor, Blue Falcon, Jonny Quest.. the list goes on and on. I'm rather addicted to these old classic cartoons and pretty much buy every box set they release on warnerarchive.com. 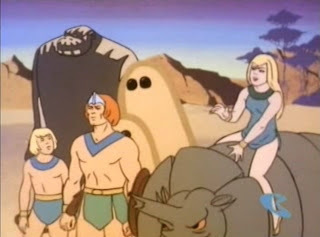 The Herculoids star a family of (seemingly primitive) adventurers on the planet of Amzot and their beastly companions as they defend their world from various threats. It's simple adventure entertainment at it's best. Toynami is an amazing toy company. Every toy I have from them is extremely well made, playable, and perfect likenesses of the characters they are meant to represent. Some of their brilliant past licenses include: Voltron, Robotech, Thundarr, and of course, Hanna Barbera. Check out the full review below! 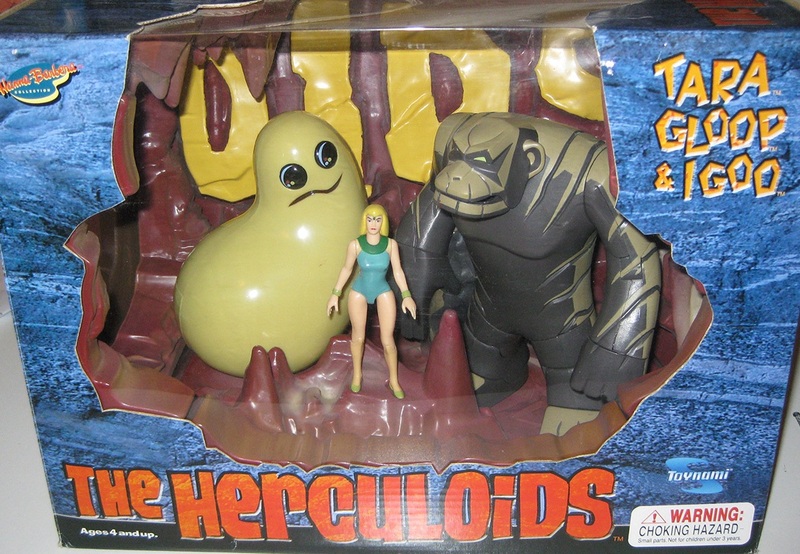 Toynami released the Herculoids in three huge box sets with cave dioramas, beasts, and of course the humanoid heroes. The Humanoid figures are roughly 3.75" scale. Tara is amazing. Simple. Classic. Retro. I love her. Her articulation is a little limited, but actually provides more maneuverability than you might expect. 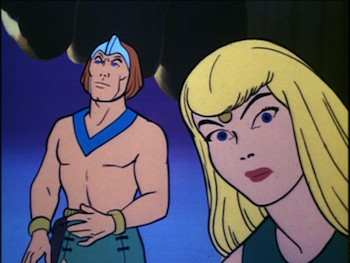 Here are some screen grabs from the cartoon and a comic cover featuring the group. Oh wow! I don't know much about this show, but they are fantastic box sets! Tara is a very pretty figure. They are amazing boxsets! Someday when I win the lottery I will own them all :) The new X-Plus Herculoids serues is off to a good start, hopefully they will show more at Toy Fair.